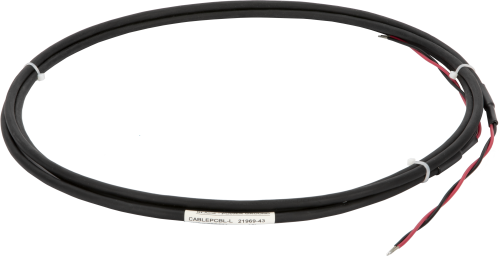 The CABLEPCBL-L is a 16 AWG, two-conductor cable with a Santoprene jacket. The conductors are stripped and tinned. This generic cable is used to power remote peripherals.